Dr. Murray Left Jackson to Die? 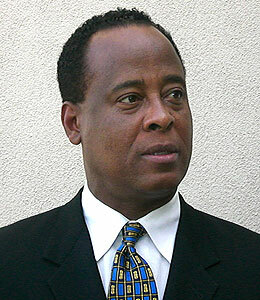 A new report today claims that Michael Jackson's personal doc, Dr. Conrad Murray, was out of the room when Michael died. Sources tell the L.A. Times that Murray stepped out of the room to use his cell phone, and when he walked back in Jackson wasn't breathing. Jackson died on June 25. Official autopsy results have not yet been released as the investigation continues.